My cousins, Gina, Julie, Lynn, and I, all great granddaughters of Hubert Lewis, and granddaughters of his fifth child Hazel Huberta Rogers, got together last Sunday to share what we knew, or had heard, about Hubert Lewis and his art, as well as discussing our general genealogy. My Aunt Ann, Julie’s mother, joined us, too. It was good conversation, we all had information to share, and each of us learned something new. I also had the pleasure of seeing and photographing four of the Hubert Lewis paintings that Julie had hung in her house. 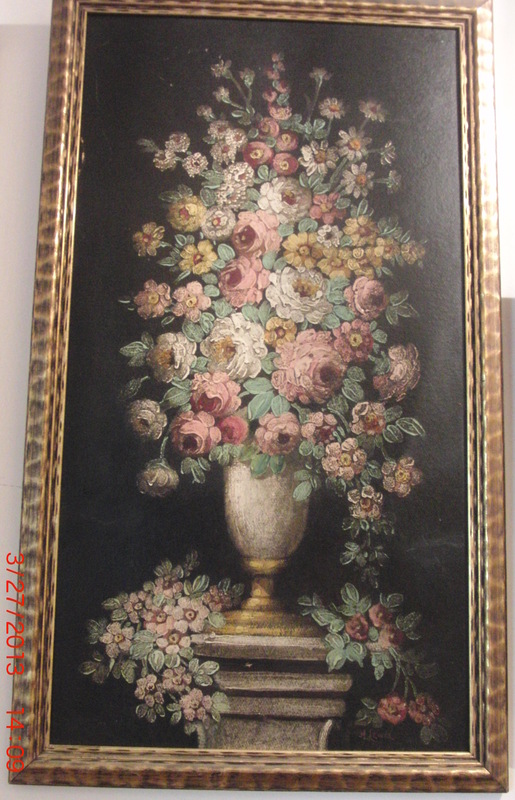 As I was photographing the pictures, I noticed on the fifth piece, that it was not signed H. Lewis, but M. Rosendahl. M. Rosendahl would be Marion Rosendahl, the grandchild of Hubert and Sarah Lewis, child of Garnet and Harlof Rosendahl. Garnet was only 23 or 24 years old when she died in the Spanish flu epidemic of 1918. Marion was less than a year old when her mother died. Hubert and Sarah raised Marion shortly thereafter. 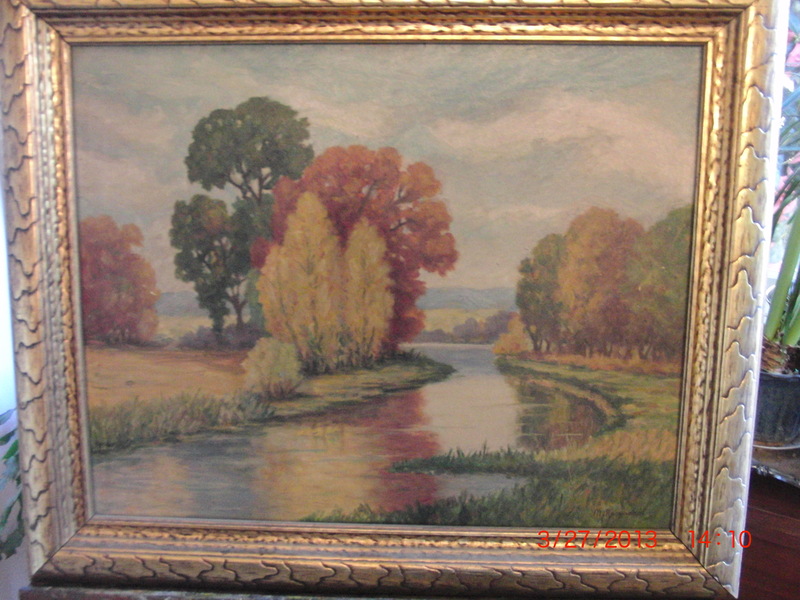 The picture wasn’t dated, so we can’t know if Marion painted it while living with her grandparents, or if she created it later in life. 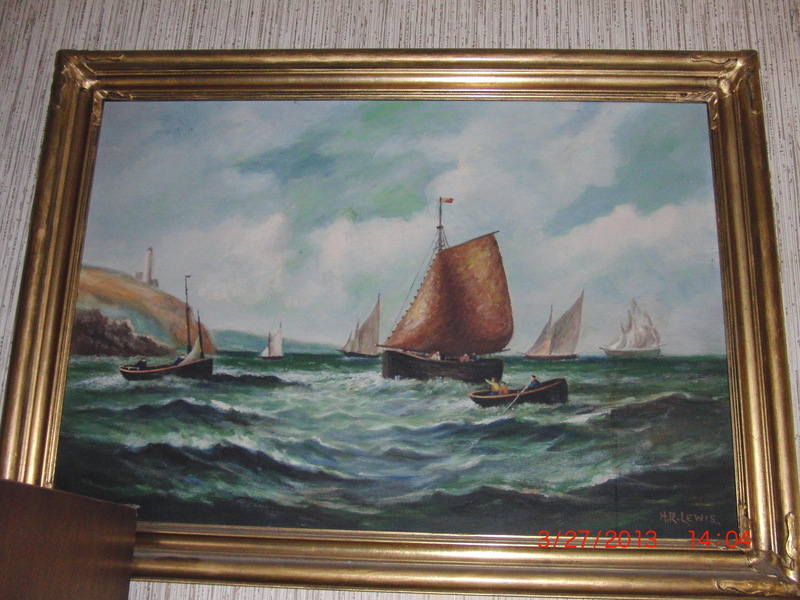 Jim Rogers, Hazel’s eldest child, and grandson to Hubert Lewis, was an artist in his own right, as well. His daughter, the aforementioned Julie Rogers, has been an artist much of her life, having grown up with quite creative parents. 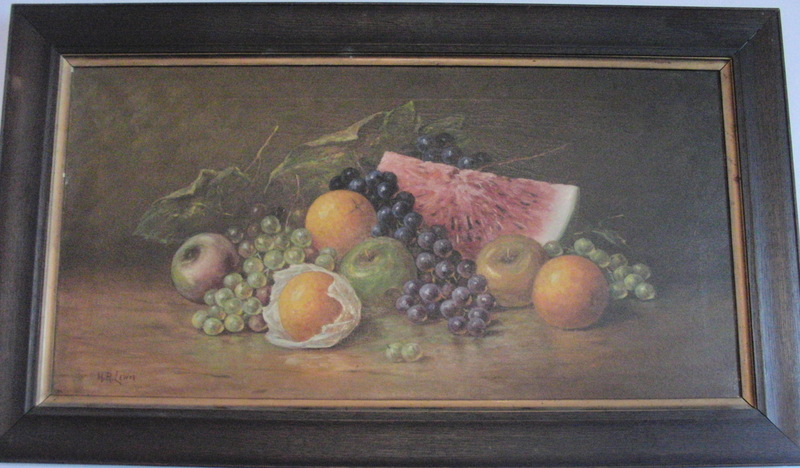 This entry was posted in Family, The Art and tagged 1918 flu pandemic, 19th century art, 19th century artist, American artists, Family, H Lewis, H.R. 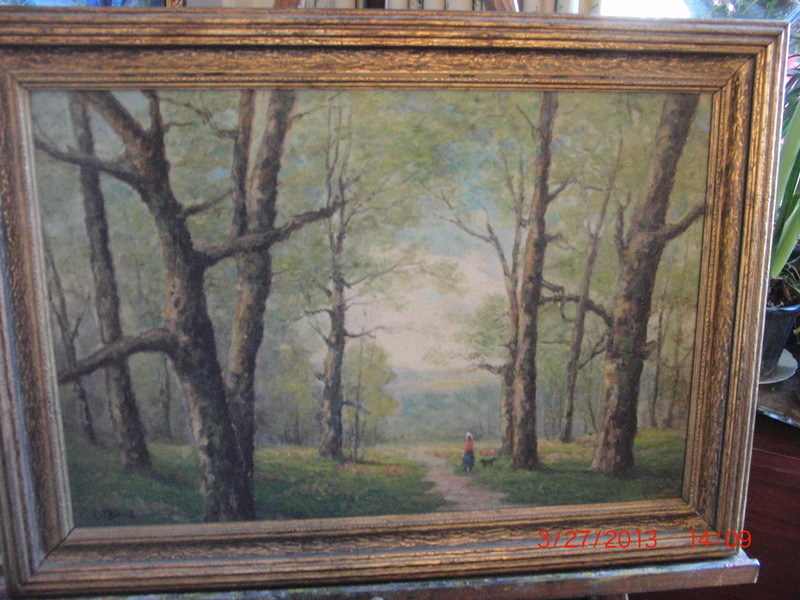 Lewis, HR Lewis, Hubert, Hubert Lewis, Hudson River School, Jim Rogers, Julie Rogers, Marion, Painting, Pennsylvania. Bookmark the permalink.